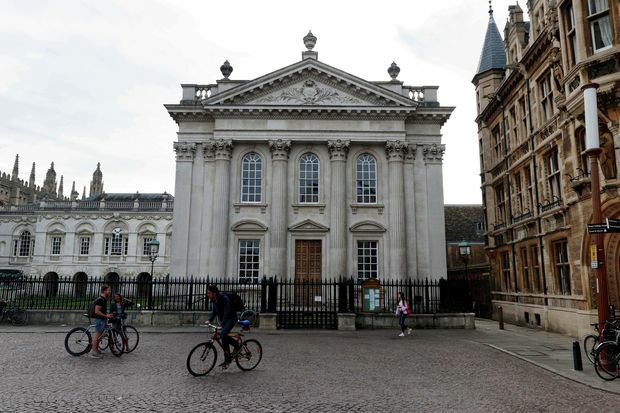 324 academics have supported a formal motion which calls on Cambridge University to consider fully the advantages and disadvantages of divestment from fossil fuels. This is more than twice the number of signatories on a divestment Grace submitted in January 2017, which had 140 signatories. Campaigners describe the 324 signatures as “one of the largest totals ever”. The motion was submitted on Friday 22nd March and will be brought before the University Council tomorrow, which will have to either implement its demands or bring it to a full vote in Regent House, the University’s democratic governing body. Reverend Jeremy Caddick, dean of Emmanuel College, and a member of the Faculty of Divinity, led the work on the Grace, with student support. This Grace represents the latest step in building pressure on the University to divest its estimated £377 million investments in fossil fuels. In January, the Guardian revealed that two members of the Divestment Working Group had major undisclosed conflicts of interest, involving proposed donations from fossil fuel companies. This followed the controversial decision by the University Council to wholly reject divestment in June 2018 following the recommendations of the Divestment Working Group report. In response to this, and the University’s failure to divest, student activist groups including Cambridge Zero Carbon have continued to push the University for divestment. In February, a rally decrying the ‘divestment stitch-up’ saw over 200 students and staff march through Cambridge, and later that month over 25 students peacefully blockaded the BP Institute. The University is also facing increasing pressure from its colleges, with the Vice Chancellor’s own college Clare Hall being the latest to announce its decision to divest, following in the footsteps of Downing and Queens’.